A very practical and family friendly BabyDrive! 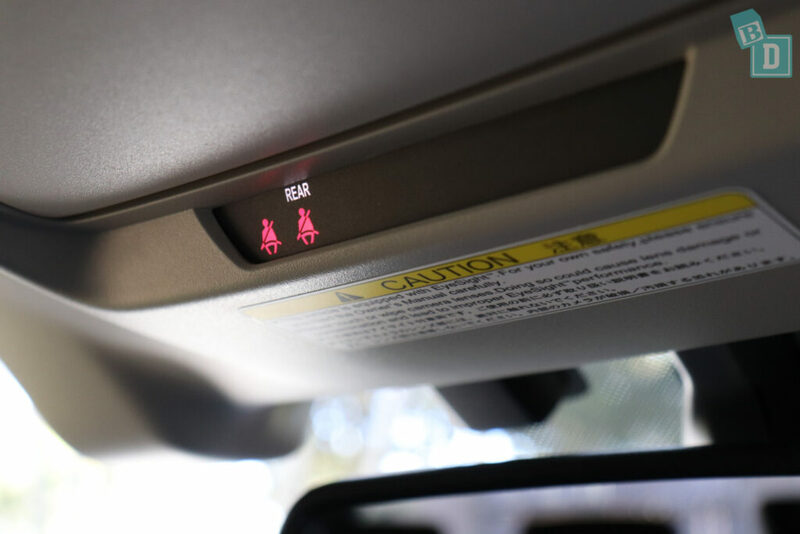 So… How family friendly is the Subaru Outback? There isn't much to fault with the Outback, as it is a very practical family car! For interior and boot space it was very generous. The boot was enormous, fitting 18 shopping bags from empty! That's two more than the Holden Commodore or VW Passat Alltrack and three more than the Skoda Superb! The twin and tandem strollers both fitted easily with eight shopping bags alongside them and a single stroller or compact stroller fitted with 10 and 14 bags respectively. I was disappointed with the retractable cargo blind though, for having just a flap of fabric held on by rubber stoppers on each end of a pole to cover the boot between the main retractable section and the seat backs. 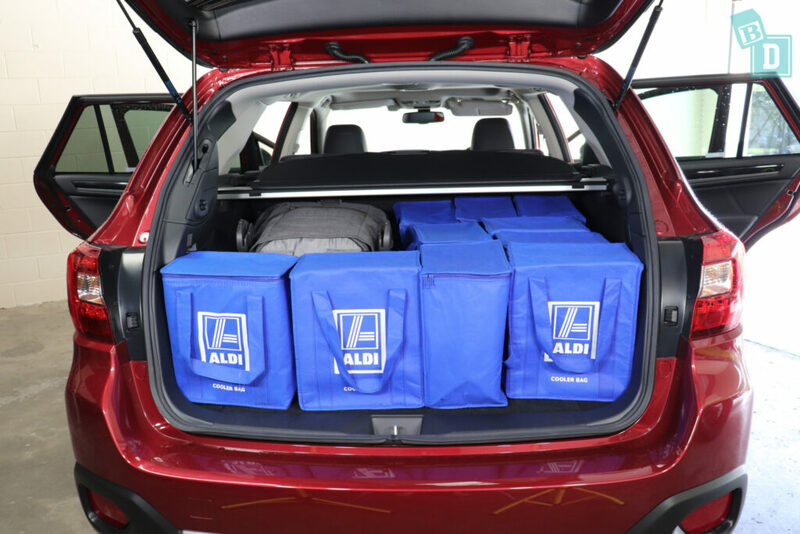 It's a flimsy method that just flaps around and falls into the boot space. Storage inside the cabin is good, with two cup holders in the front and back and the central console box is a good size too. There is a well in front of the gear lever that's good for holding your phone as the USB, AUX and 12V sockets are there too. The door bins in both front and back are disappointingly small and would only hold 600ml bottles, but not a large refillable water bottle, so the only place to put those were the front cup holders which is not very practical. 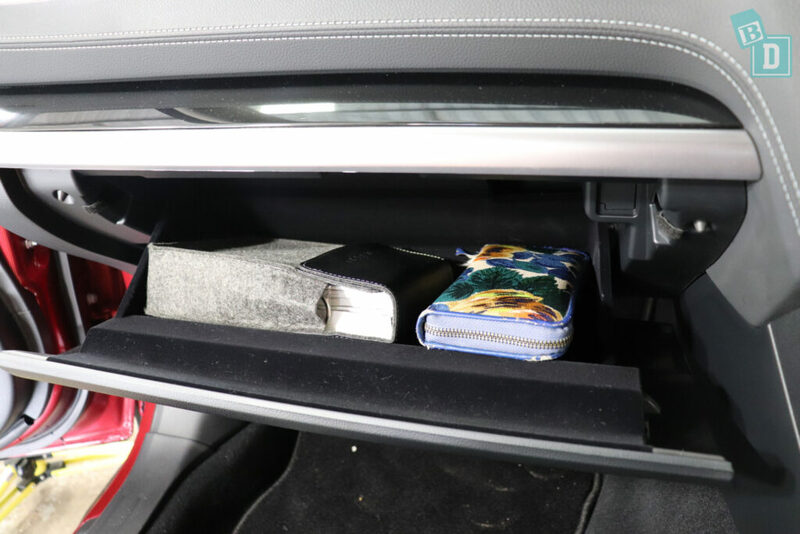 There is a glasses case in the ceiling in the front and two map pockets in the back, as well as two USB sockets in the back. I found I could install three child seats in the back of the Outback. 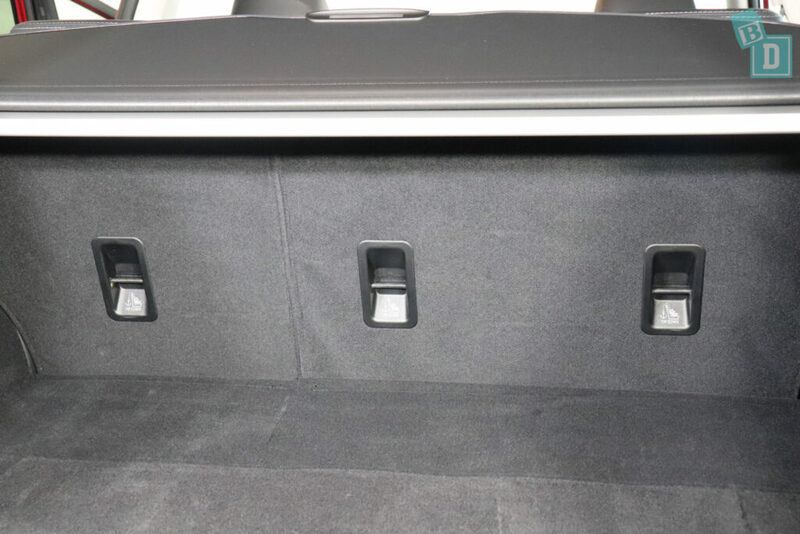 There are ISOFix points in both the outer seats and top tether points in the backs of all three seats. They were easy to connect to and apart from the central seatbelt coming from the ceiling it was an easy fit. 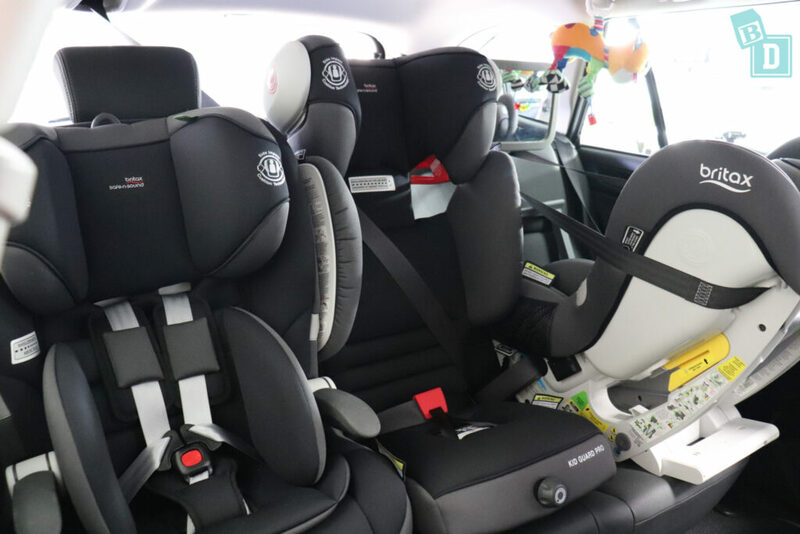 With the Britax Graphene, Maxi Guard Pro and Kid Guard Pro across the rear seats it was a tight fit and I found that with just the two outer child seats installed there was enough room for me to sit between them. Legroom was fantastic, and in front of the rear-facing Graphene child seat the front passenger has 23cm of knee room! I was amazed there was so much room with such a large boot as well. The Outback didn't feel big to drive and actually shrank around the driver to feel like a much smaller car when driving around town, parking and maneuvering. Visibility was very good in the Outback for both passengers and the driver and the different camera views were really helpful when parking. The media system has Apple CarPlay and Android auto which was great. 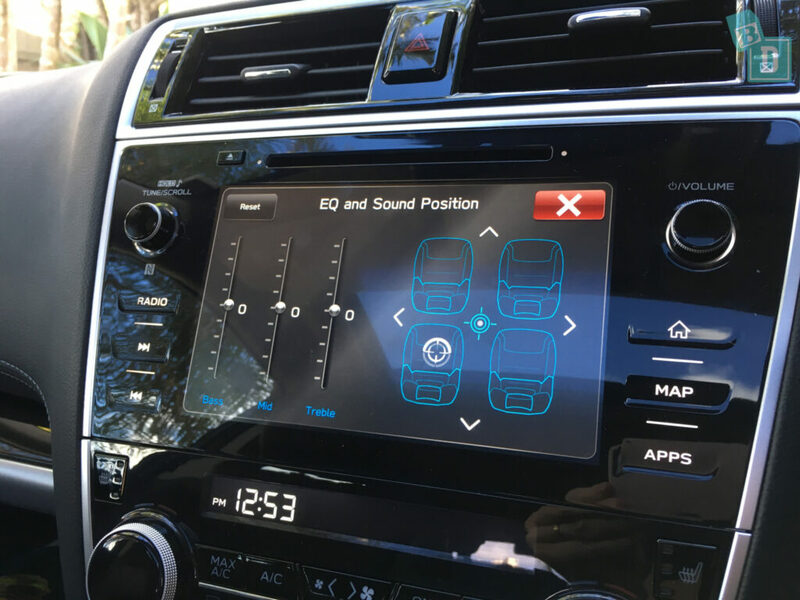 It was an easy to navigate screen too, with a lot of options to change the volume or mute all the different sounds and alerts for all the driver assist and safety systems, which is a great BabyDrive feature. On that note, the Outback was very vocal! There were alarms and beeeeeps for almost everything, which I found to be VERY baby waking but thankfully I could turn almost all of them off. The Outback was a great drive out on open country roads and unsealed gravel tracks but felt a bit frumpy around town and it just lacked that active feel some of its competitors have, especially compared with the much more energetic feeling Holden Commodore. The interior also felt practical but cheap, with awful black shiny plastic all over the dash and doors. 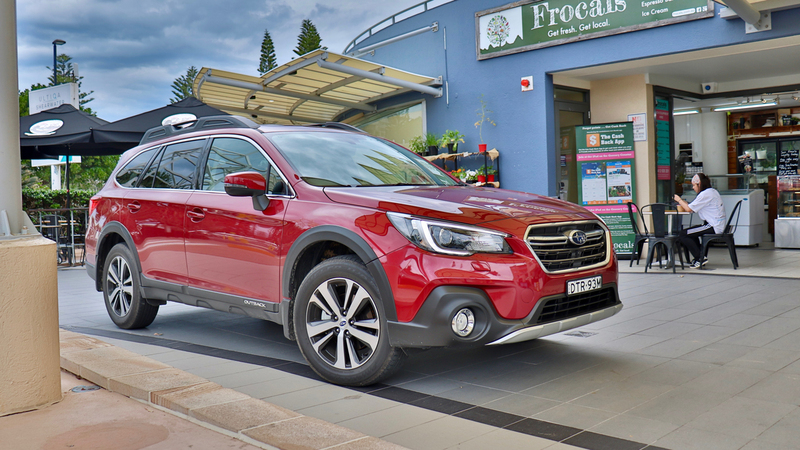 Overall the Outback is a very practical BabyDrive but it lacked that new car feeling for me! I want all the mum and family practicality but to feel a little bit special too. The Subaru Outback scored a five-star ANCAP safety rating in 2015. So… How big is the boot of the Subaru Outback? The boot of the Outback was deceivingly enormous! 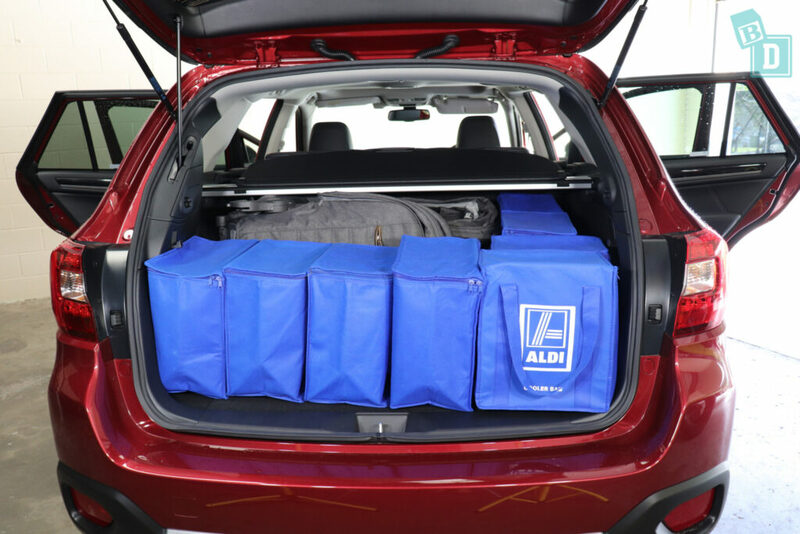 It really doesn't look like it would, but it fitted 18 shopping bags in the boot when it was empty! 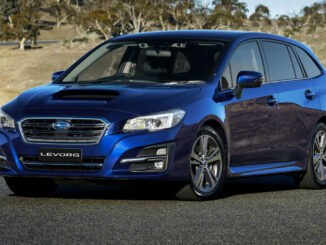 That's two more than the Holden Commodore and VW Passat Alltrack and three more than the Skoda Superb! 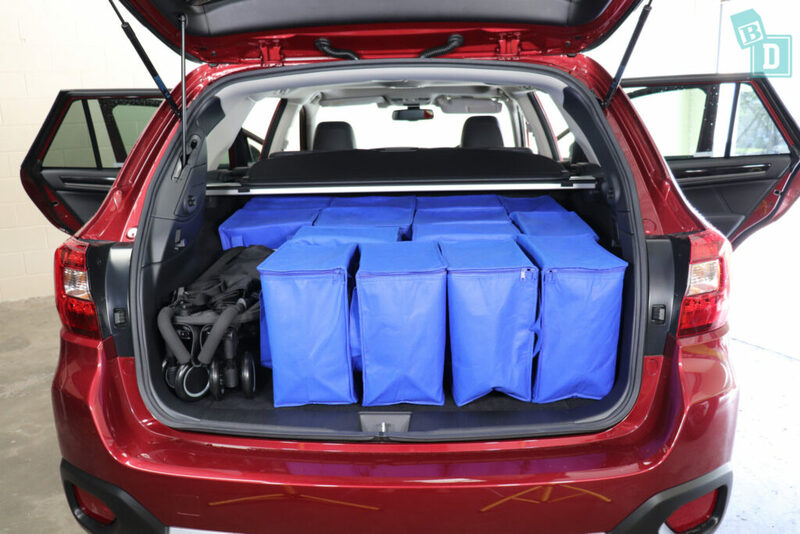 With the Mountain Buggy Duet twin stroller in the boot, I could fit 8 shopping bags. With the Britax Flexx tandem stroller in the boot, I could fit eight shopping bags. With the Britax Flexx single stroller in the boot, I could fit 10 shopping bags. With the Britax Holiday compact stroller in the boot, I could fit 14 shopping bags. 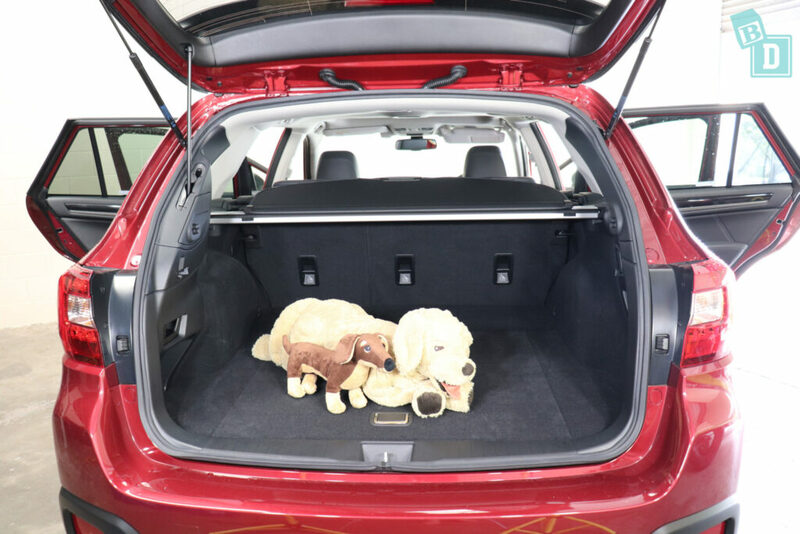 Or you could transport a very large dog in the boot! 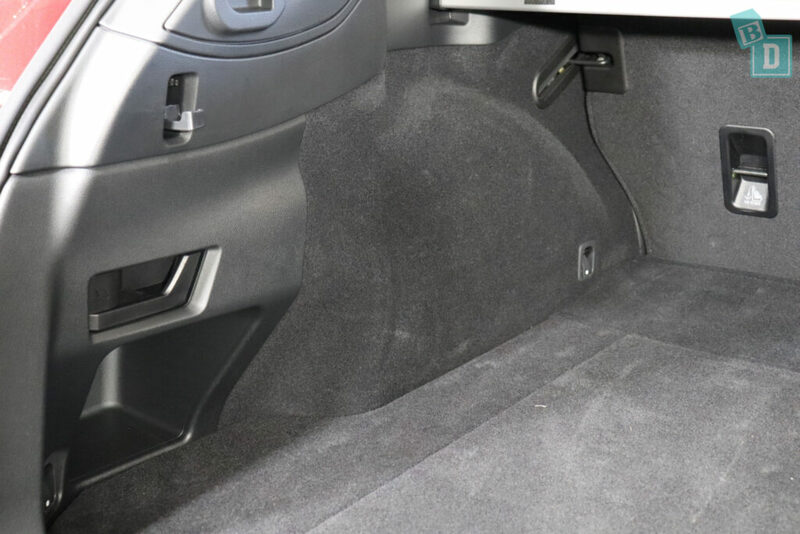 The boot floor of the Outback is nicely carpeted and flat and would be perfect for an emergency nappy change. 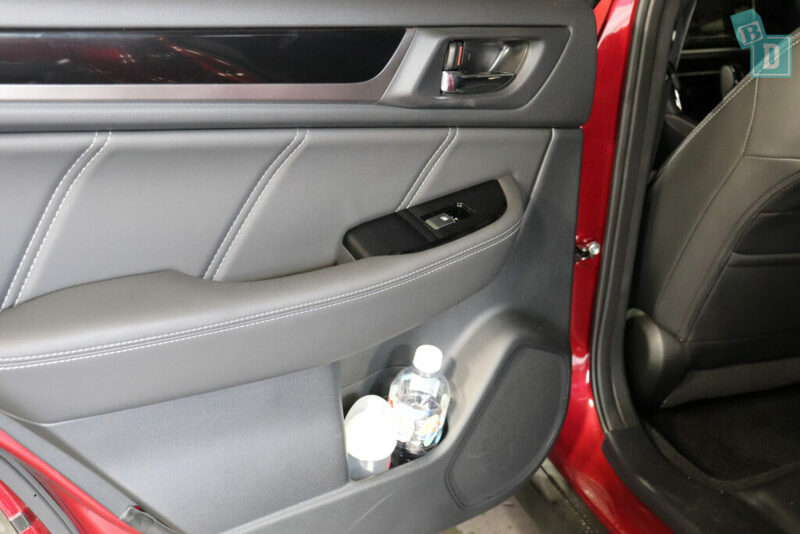 There are two little plastic indents, one on each side of the boot, which is good for putting wet or dirty items in to separate them from the rest of the boot. There is a bag hook on either side of the boot too and a large interior light in the ceiling that you can turn on and off manually. There is no underfloor storage because the spare wheel is there and the roller blind stores away under there too. 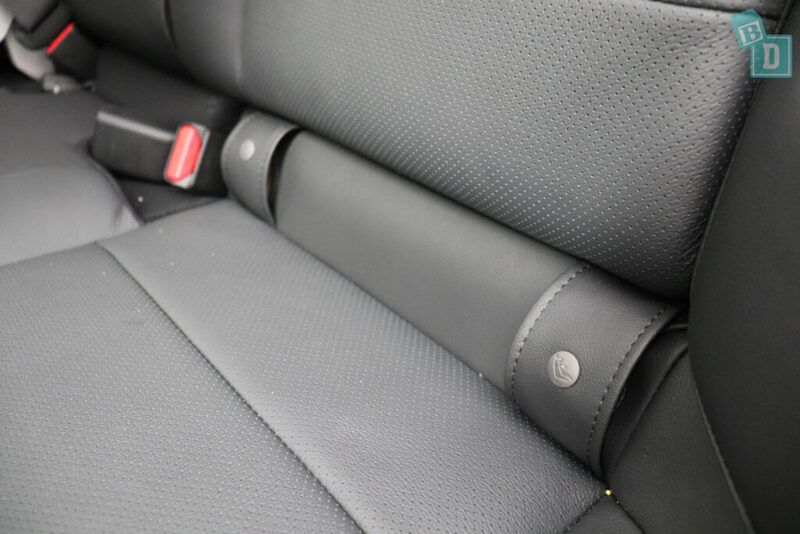 The roller blind covers most of the boot but there is just a gap between the bar and the rear seatbacks for which there is an extra flap of blind than grips in place with a rubber stopper on each end of a rod. I just find this method really fiddly and time-consuming and they rarely stay in the right position and flap around and fall in the boot! Storage inside the cabin was good too. 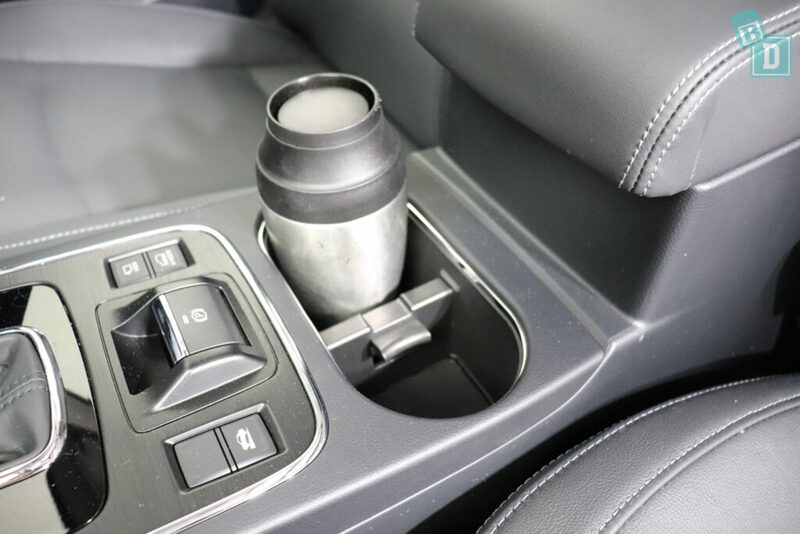 There are two cup holders in the central console that can hold a reusable or disposable coffee cup and a large refillable water bottle fitted in them too. In front of the gear lever, there is a rubber lined well that I found best for storing my phone as there are two USB, an AUX and a 12V socket in there too. This storage area has a cover. The glove box is felt lined but quite small, I could fit my wallet in with the manual but not my iPad or anything else. The central console storage box is a good size, it has a 12V socket inside and a tray in the top to hold coins. The front door bins will hold a 600ml bottle, but are not big enough for a large refillable water bottle. They will hold an iPad or wallet. 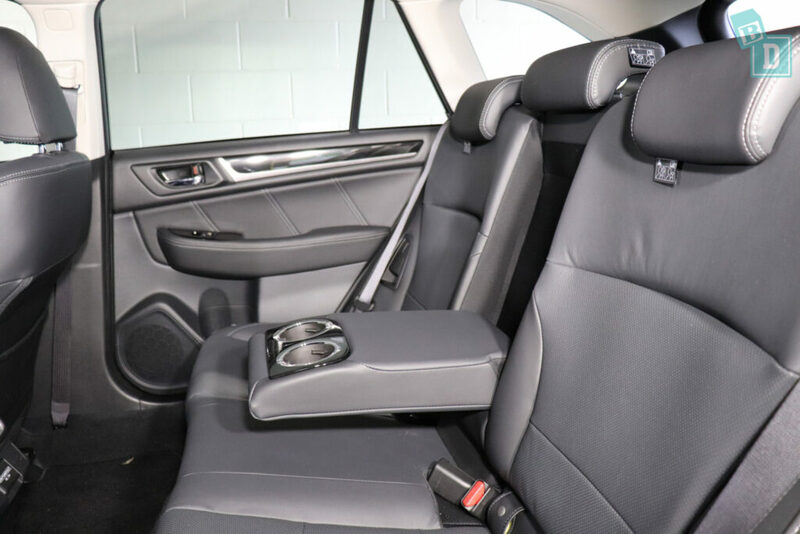 In the back, the central seat backrest folds down to create an armrest with two cup holders in. They are well sized for a re-usable or disposable coffee cups but a large refillable water bottle doesn't fit. The rear door bins will not hold a large refillable water bottle either. They will hold a Pigeon baby bottle and a 600ml bottle. 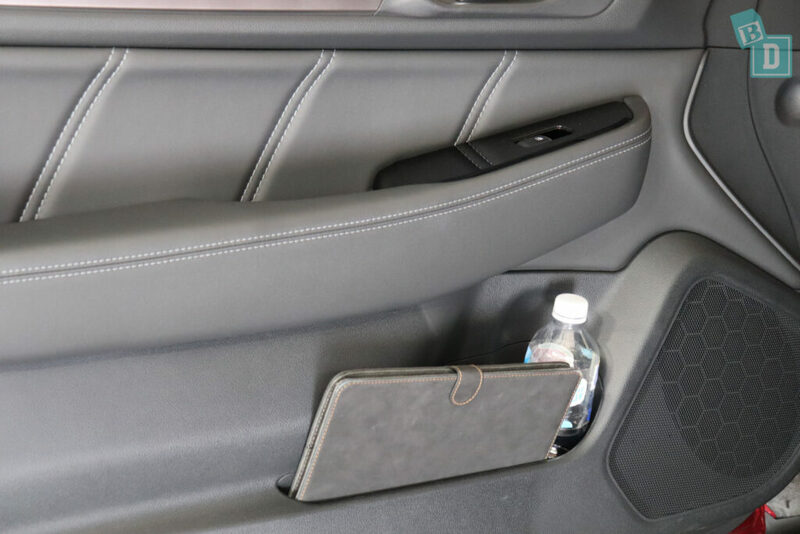 There are map pockets on the back of both front seats that will hold an iPad but not conceal it. There are wells in all the doors handles, I love these, and find them really useful when putting bub in and out of the car as somewhere to put the keys or whatever little things she has in her hands. 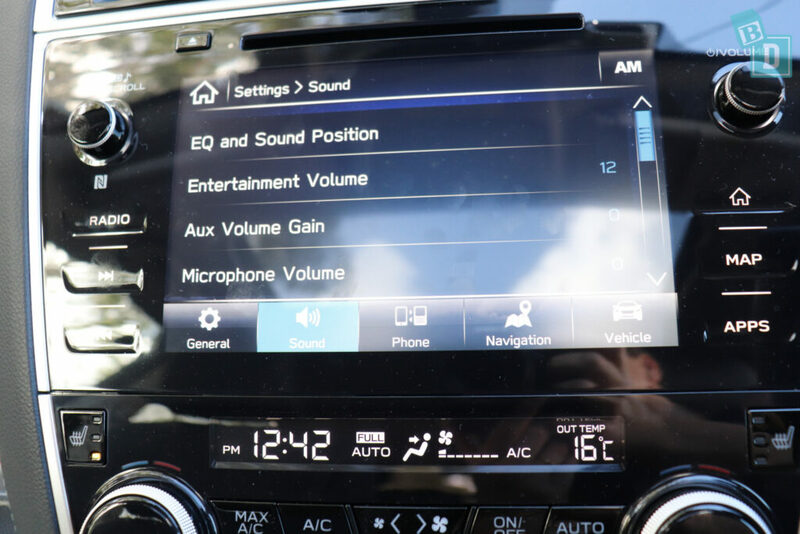 So… How noisy is the Subaru Outback? There are no parking sensors on the Subaru Outback that I drove. Like the Subaru Forester and XV, they are something you have to purchase and pay to have fitted afterwards. There is, however, a button in the central console to allow you to have different camera views which I found really useful when parking to be able to see the lines on the ground, the kerb and the car parked in front or behind! The image quality of the camera image is a little pixelated but I still found it really useful. The Outback has lane departure warning which beeps to alert you when you are drifting out of a lane and flashed up on your display too. You can turn lane departure warning off with a button on the steering wheel on the right. When I first got into the Outback it was like a cacophony of noise! There was a welcome tune, the stereo blared out whatever radio station the previous driver was listening to and it beeped at me in a strange toy telephone ‘bring bring' because a seatbelt wasn't fastened!! I then discovered, thankfully, that the Outback is one of the most adjustable cars I have driven for noise and sounds! Within the media screen settings, under sounds, you can select the volume or mute a lot of the bells and warning noises. I didn't find a way to stop the stereo blaring out whatever was playing on previous journeys, and actually, even if you have muted it on the previous journey it plays just as loud when you turn the car back on! I find this is a bad BabyDrive feature as it can really disturb the start of a journey, or if you are stopped while Bub is asleep it can wake them up when you start the engine again. 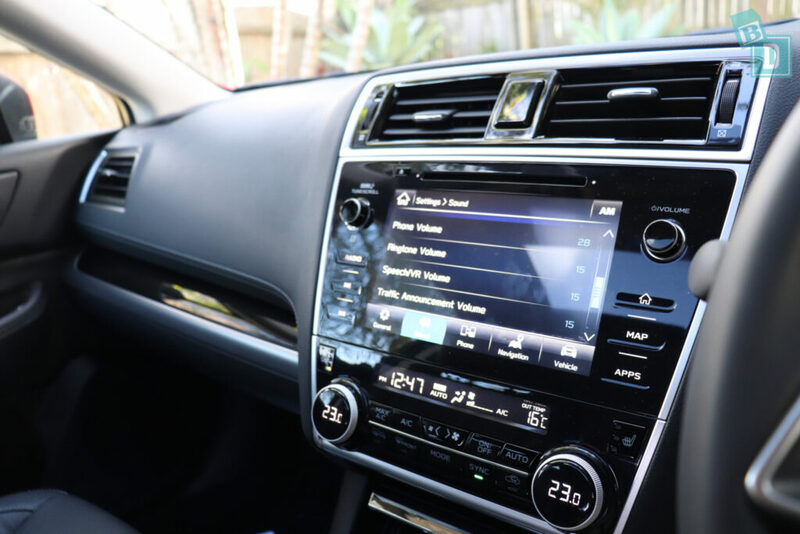 Lots of things were adjustable, the speed volume, beep, alerts, traffic announcements, voice recognition prompts, ringtone, phone, navigation announcements, microphone, AUX, entertainment, EQ/sound position could all be modified. I couldn't stop the stereo playing loudly when you turn the car on though and it was a source of annoyance for me the whole week I drove it. The EQ/sound position was a fantastic and easy drag and drop touch screen method which I LOVE for shifting the nursery rhymes to be predominantly with the passenger whole really wants them! The indicator sound is not too loud and wouldn't disturb any sleeping passengers. 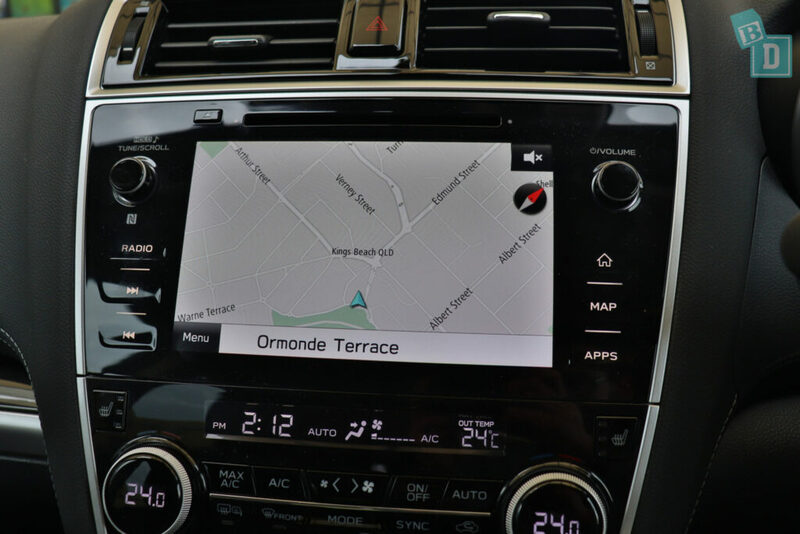 The sat-nav voice can be adjusted or muted within the sound adjustment list also. 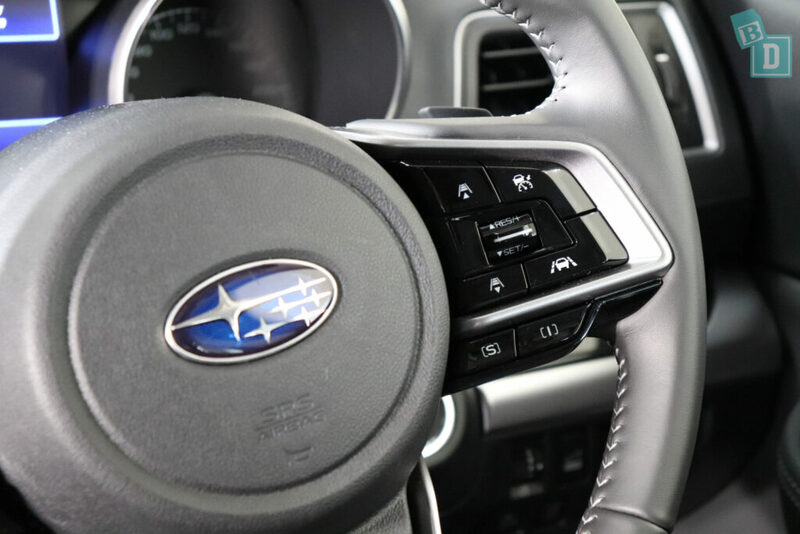 The Outback has Apple CarPlay and Android Auto too, so you can use your phone's sat-nav and that can be quickly muted with a simple button on the screen. The media system is easy and quick to connect to, and the podcast I was listening to played really quickly when I plugged my phone in. The windows and doors aren't too bad for noise. They both open quietly and close with a little thump but the sound is quite cushioned so it's nothing too baby waking! I found you can come to a stop and get out of the car without an alarm going off. 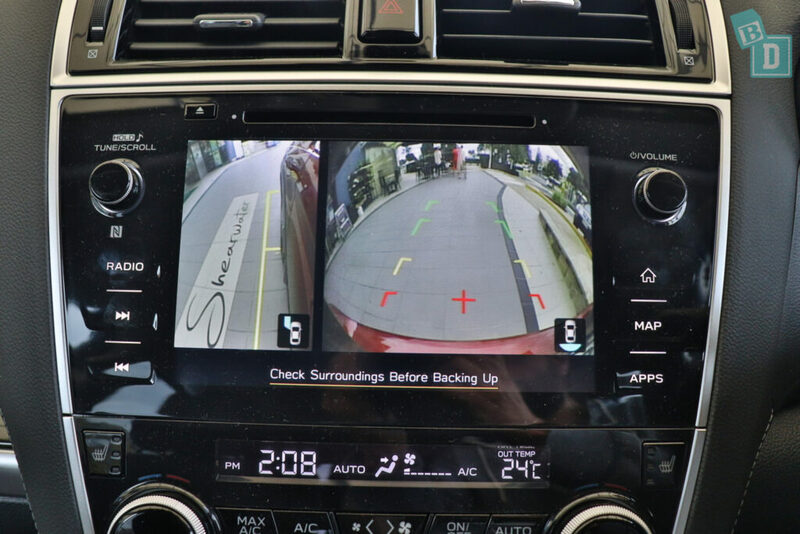 This model had what Subaru calls Eye-Sight which meant there were cross-traffic alerts, lane departure warnings, blind spot alerts and traffic movement prompts. 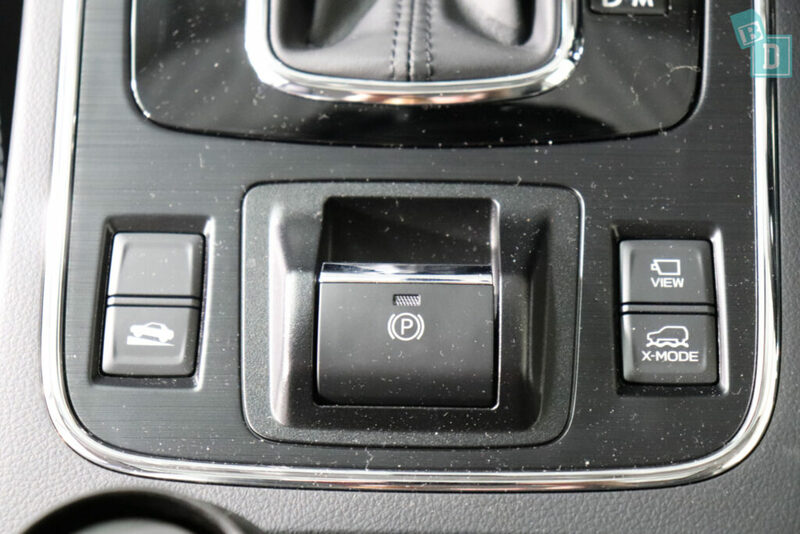 The buttons to turn most of these features off individually are down by the driver's right knee as well as the auto-engine cut out button. The tailgate of the Outback is silent to open and close which is a great BabyDrive feature so you can access the boot while bub is asleep without waking them up! When you open it using the button by the driver's right knee then the hazard warning lights flash. The road and engine noise were really good in the Outback, I found it quiet and smooth to drive! 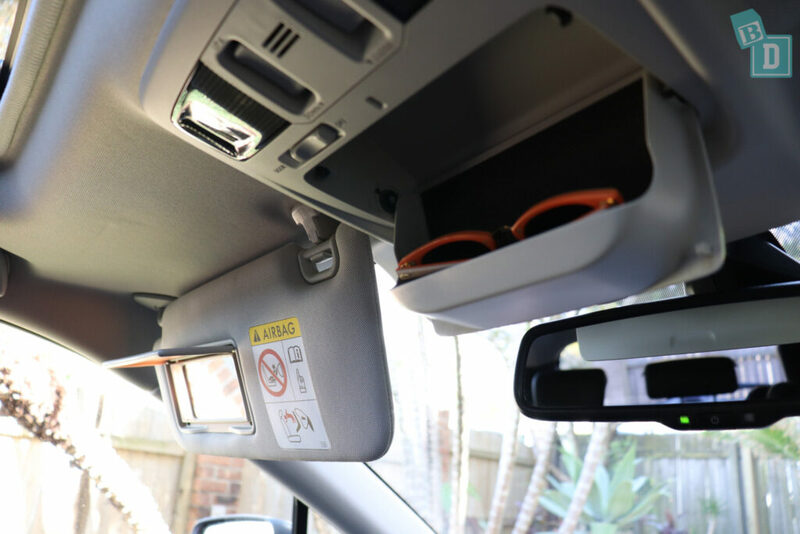 The seatbelt removal ‘bring bring' alerts you to a removed seatbelt and there are warning lights in the ceiling near the glasses case and on your display in front of the steering wheel. 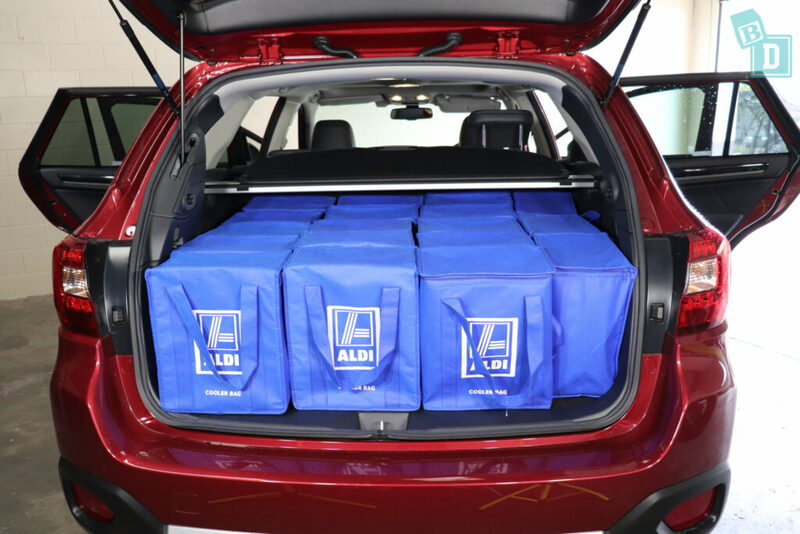 So… How many child seats can you fit in the Subaru Outback? I found it really easy installing child seats in the rear of the Outback. There were ISO Fix in the two outer seats, and though they were not within plastic guides and behind flaps in the seat fabric, they were easy to connect to. After removing the child seats I did find that the fabric flaps were bagging and showing the crudely cut holes in the seating foam behind them after just one week of use. There are three top tether points, one in each of the seat backs, within plastic guides and easy to connect to. I found I could just reach them through the deep boot, or you can bring the seatbacks forward. I could install three child seats nice and simply, I think because the rear seat base was nice and simple and flat. 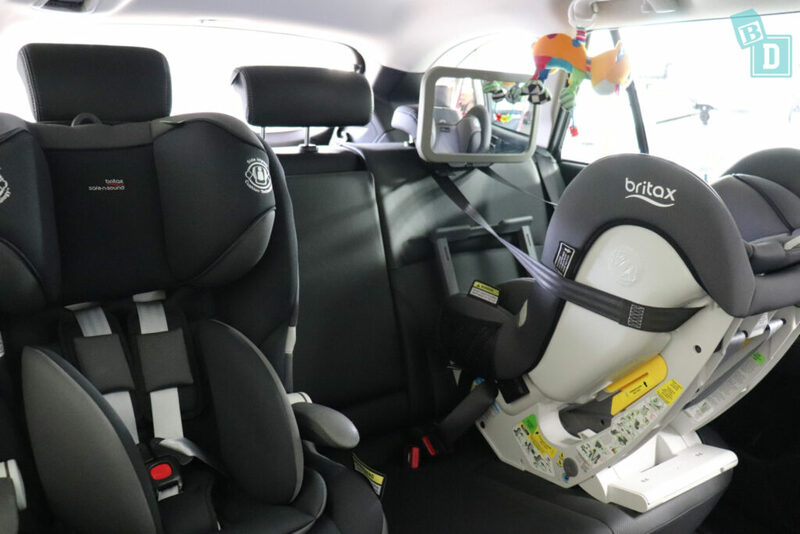 I installed the rear-facing Britax Graphene on one side, the forward-facing Maxi Guard Pro in the other outer seat and the Kid Guard Pro booster in the central seat. 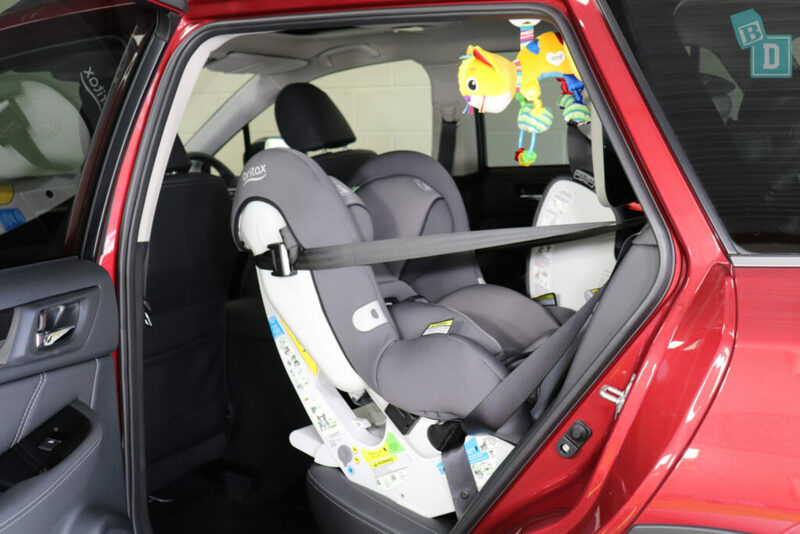 I used the seatbelts for all three child seats, rather than ISOFix, with the top tethers. I found that with just two child seats installed there was lots of space around them and I could sit in between them comfortably (I am 162cm). The central seatbelt does come from the ceiling though, which I found a lot less practical and easy to use than a shoulder seatbelt. Legroom in the Outback was fantastic! 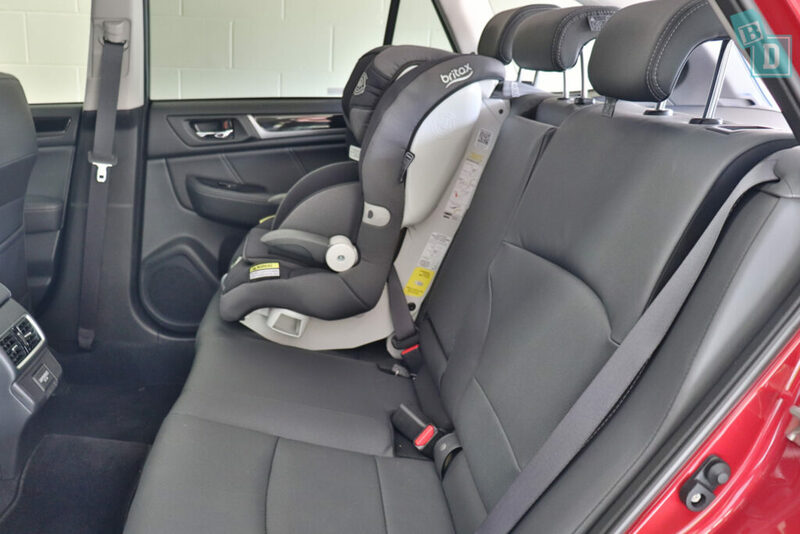 With a rear-facing child seat installed behind the front passenger seat, there is 23cm of knee room for the front passenger! I am surprised by the amount of legroom in the Outback, it doesn't feel like a big car to look at or to drive and the boot is very generous too so space has not been borrowed from there either. With only one child seat installed there is plenty of room in the back to feed Bub. Posting Bub into their child seat from inside and outside the car was fine with the Outback too. So… How comfy is the Subaru Outback? The front seats in the Outback are very comfortable, both front seats have the electric adjustments on the side and are heated but I found I couldn't wear a ponytail with them. The rear seats I found comfortable too, even the central one with a firmer backrest due to the cup holders was comfortable too as the hump in the footwell is not too high and easily straddled. The steering wheel is fully adjustable up/down and in/out and the cruise control buttons on the right of it were simple and easy to use. I did find the cruise control was not accurate at 60km on undulating roads and would race away with itself. It was better on motorways on straight roads and at faster speeds. I also discovered the Outback would beep every time it detected a car in front of me and I just found it a rather irritating and unnecessary beep that could potentially wake my sleeping baby!! The Outback's ‘Eye-Sight' system does have a feature to tell you if the car in front moves away and you don't notice. The beep for this is quiet and useful if you are distracted at junctions and lights! 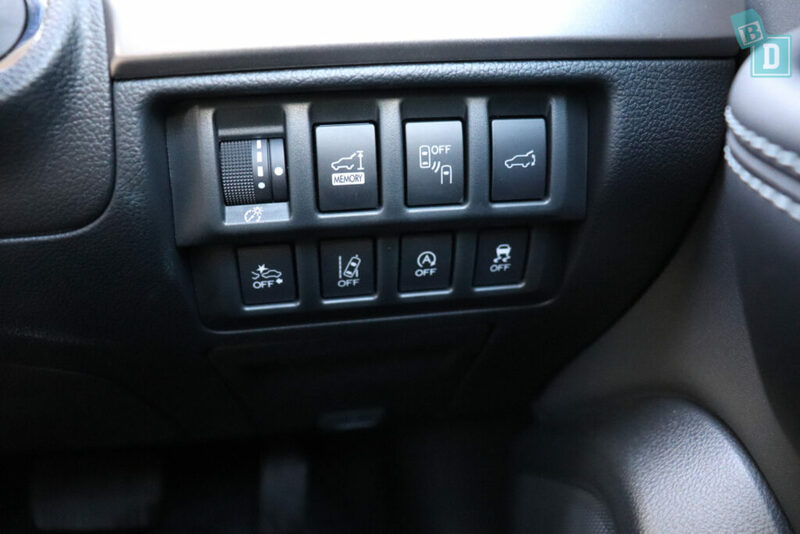 There are four airconditioning vents across the front of the dashboard, two in the centre and one at either end. The controls are conveniently located on the central dashboard and I found them easy to use. In the back, there are also two vents on the back of the central console box. 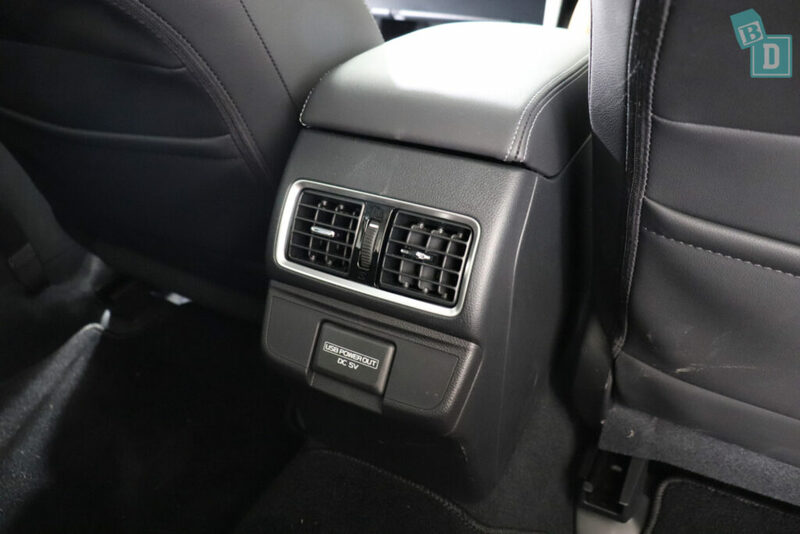 There are no temperature controls there, just the vents that are easily reached by the driver too. 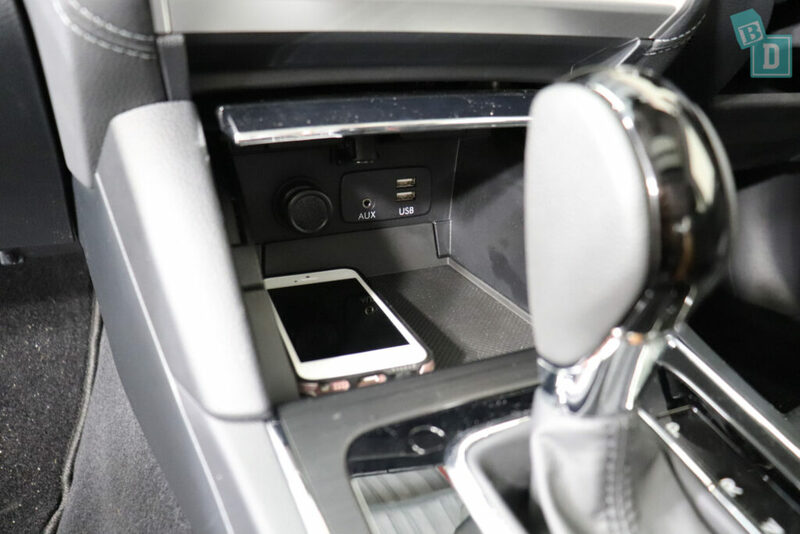 Below them is two USB sockets which are great for the rear passengers. The windows in the Outback are tinted, but there are no built-in window shades. The side windows are nice and big, square and deep giving great visibility for all passengers forward and rear facing. As the driver, I found visibility very good out of all the windows. I found the Outback shrank around me and didn't feel like a long car when maneuvering and parking. The large windows meant I could see the edges of the car well and the different cameras, rear, front and side, helped where I couldn't see. One thing I have noticed since being a mum is I hate it when I reach a destination or get home from being out and Tulsi has either done really well in the car or she is screaming her head off and I have done really well to keep it together for the entire journey (usually the latter!!) and it takes 10 minutes to park the car! It can be really stressful. Usually, I dread parking long cars as they take longer in our tight apartment block carpark, but the Subaru Outback wagon was fine to reverse park! The rear interior lights are in the ceiling just behind the sunroof and I found them easily reachable when driving which was great! Also if I am traveling home and it is getting near to bed time and I DEFINITELY DON’T want her to fall asleep in the car as even a five minute nap in the car means bed time is all over!!!! I lean back and pop the light on so it’s not dark and try to keep her awake!! Along with screaming/singing at the top of my voice!!! There are handles above both back doors, which I found were well located for hanging baby toys from. I found the Outback a really easy car to drive, straightforward and nothing to think about. It did feel frumpy around town like it was already worn in and didn't have that special new car feel about it. Out on the open country roads and unsealed tracks, it made much more sense as the name suggests! 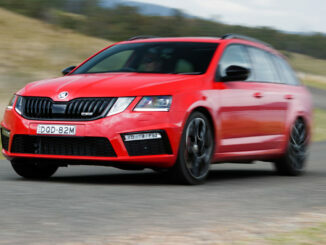 Its competitors, the Holden Commodore and the Skoda Superb both feel more active to drive. 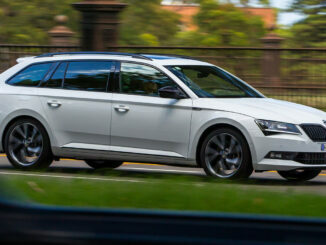 Whereas I found the Outback to be more lazy feeling to drive like the VW Passat Alltrack. The interior of the Outback is very simple and practical and pleasant enough. 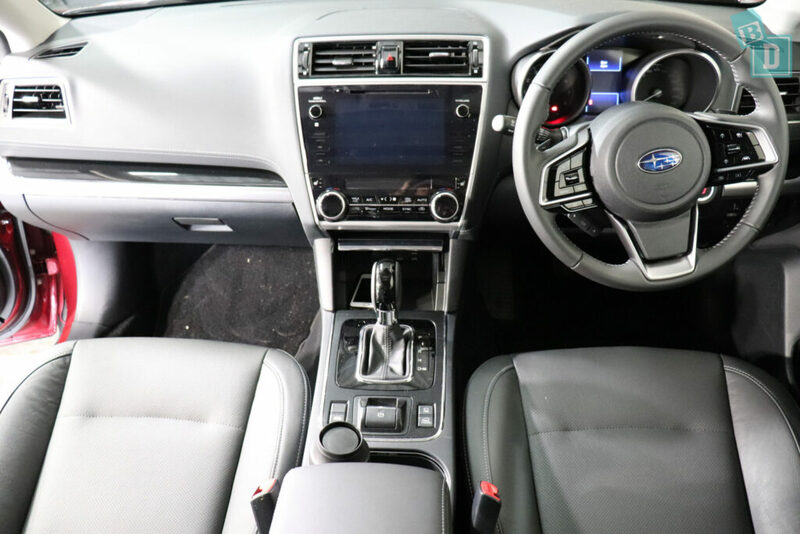 I really dislike the shiny black plastic used all over the dash and doors, it feels cheap like most Mitsubishi interiors and really lets the car down for me, as I usually associate Subarus with a more quality finish than that. The interiors of the Outback's competitors, the Holden Commodore, Skoda Superb and VW Passat Alltrack all feel more modern. 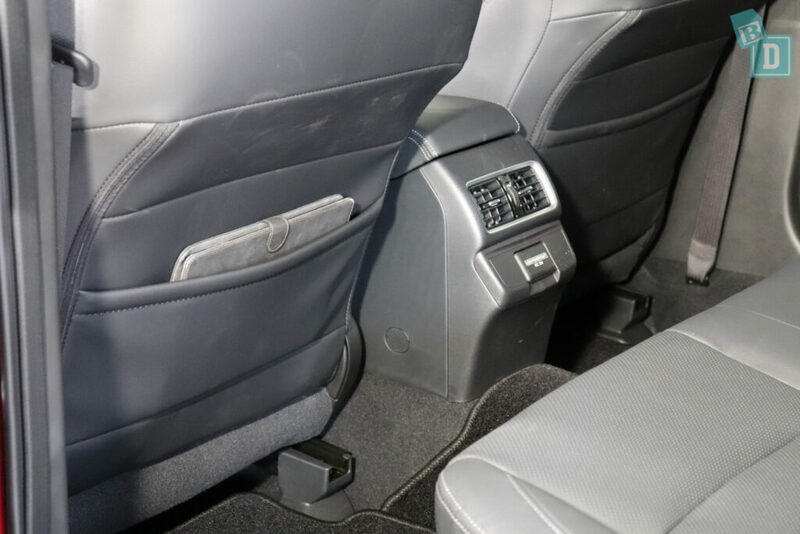 The interior surfaces would wipe clean easily from kids spills, apart from the central panels of the front and rear side seats which are perforated and would trap crumbs and spills and not be as easily cleaned. there are carpet floormats throughout the Outback. 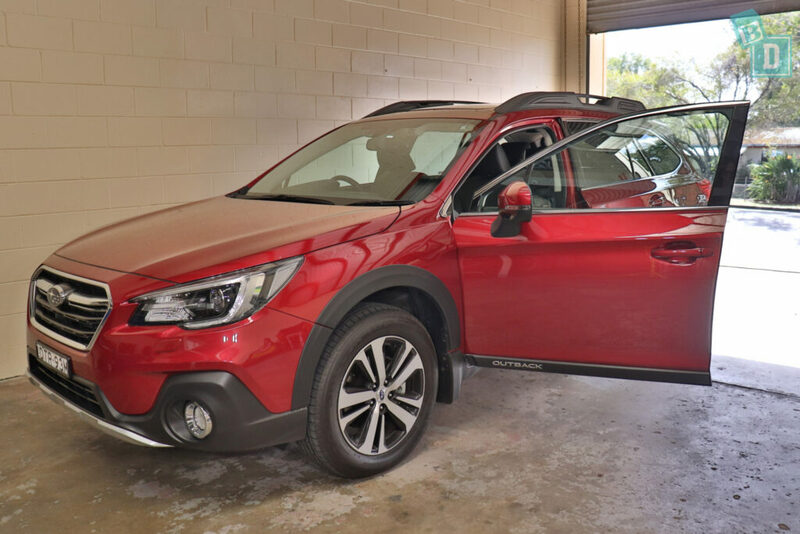 The Outback does have keyless entry, the tailgate is powered and it is silent to open and close from the boot, opening it using the button inside the cabin it the hazard lights flash twice to alert to it going up or down but it doesn't make a noise so it shouldn't wake a sleeping baby! So… How safe is the Subaru Outback? The Subaru Outback scored a five-star ANCAP safety rating in 2015, getting a total of 35.99 out of 37 overall. For the frontal offset test, it got 14.99 out of 16 and the pedestrian protection test, it was rated acceptable. For all other tests, it scored top marks. Seven airbags come as standard; there is a driver's knee airbag as well as dual frontal airbags and front side airbags and side curtain airbags for the front and the rear side passengers. 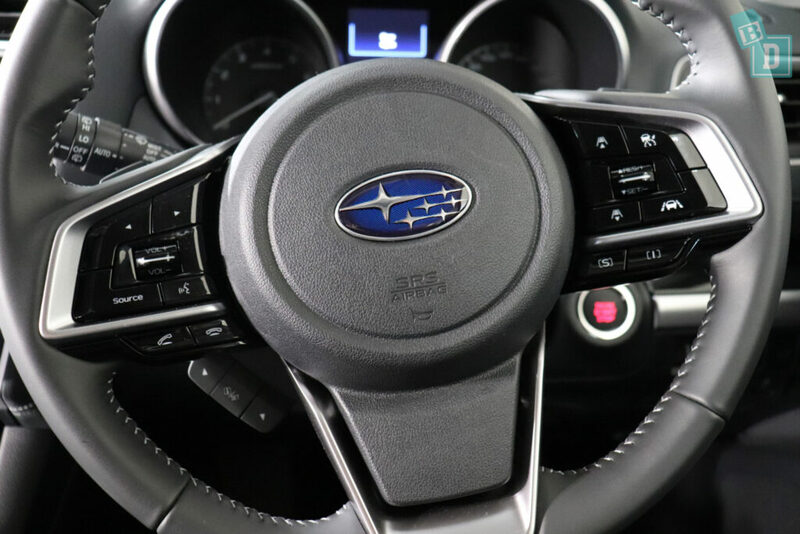 As standard, the Subaru Outback comes with symmetrical all-wheel drive (SAWD), anti-lock brakes (ABS), electronic stability control (ESC), electronic brake force distribution (EBD), along with brake assist and traction control system (TCS), active torque vectoring system, 4-wheel disc brakes and hill hold assist. The EyeSight also gives you as standard adaptive cruise control, brake light recognition, lane departure warning, lane keep assist, lane sway warning, lead vehicle start alert, pre-collision braking system, pre-collision brake assist, pre-collision throttle management, pre-collision steering assist and electronic throttle control system. Top spec models come with the vision assist package consisting of the adaptive driving beam (ADB), blind spot monitor (BSM), lane change assist (LCA), rear cross traffic alert (RCTA), side view monitor (SVM). This is amazing, thank you. Hubby and I are currently looking to upgrade our family if four from a corolla (yep, clown car haha) to most likely and Outback. Your review is fantastic and shares every thing we’d need to know! Thank again! Can you fit 3 front facing baby seats in the back? I see you have 2 front facing and 1 back facing. How hard will it be to put babies in and out of car seats given the height is not as high as other larger SUV’s. Will it be hard on your back? I didn’t find it hard Anthony, it wasn’t as low as a sedan roof line.